Relieve your back pain naturally, without drugs or surgery. Now you can learn these gentle qigong exercises and soothing massage techniques to help ease your lower back pain. Young or old, sedentary or athletic; it is likely that you will experience some sort of back pain injury in your lifetime. Since the spine is the root of all motion, a healthy back is vital to well-being. Although Western Medicine has made great progress in treating spinal illnesses and lower back pain, it has only limited success in actually healing it. Chinese Medicine, over the last four thousand years, has developed many of its own methods to treat spine problems, including Qigong exercises, acupuncture, massage, and herbal treatments. By doing Qigong exercises, you can effectively treat many cases of spinal illnesses and rebuild the strength of your torso, which is the root of complete healing. 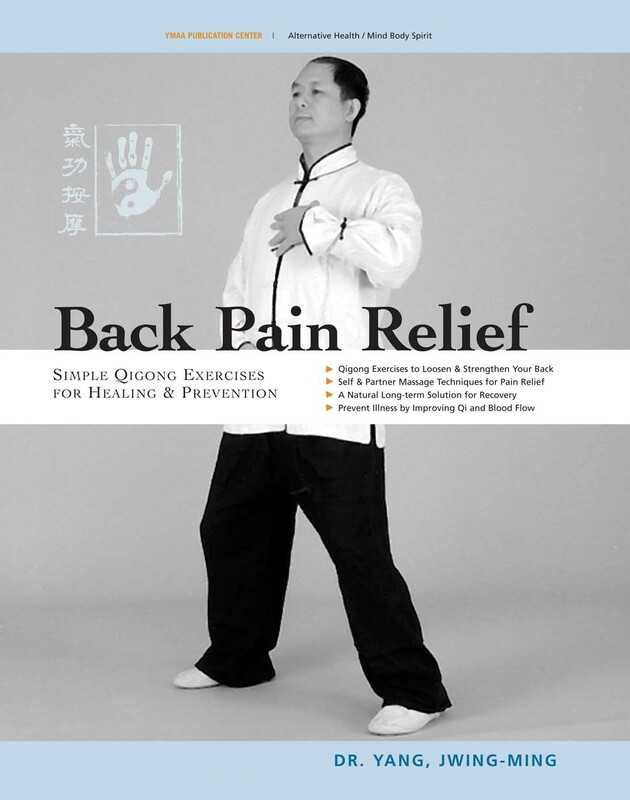 This book introduces Qigong exercises that can restore the health of the spine. Some of the exercises are designed to heal a condition, others to help rebuild the strength of the joints, still others to help keep the back healthy and prevent further problems from developing.